Posted January 3rd, 2012 by David Porter & filed under Technology. People are now used to seeing and approving warnings about illicit filming in cinemas as films start showing. People are more aware of pirated DVDs on sale. Yet often the same aware and approving people are happy to download music and movies, share copyrighted files…. That may have to change as copyright owners fight back and the definition of intellectual right ownership in the digital age takes shape. 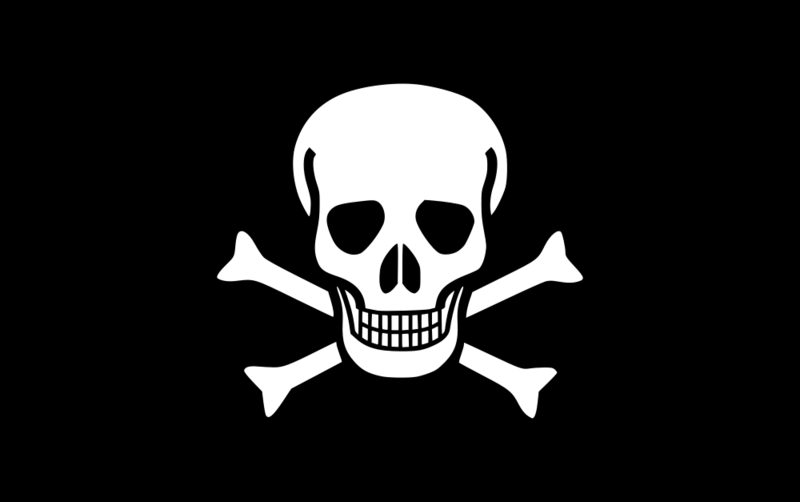 The internet piracy that threatens it is defined by the Wise Geek as ‘the unlawful reproduction and/or distribution of any copyrighted digital file that can change hands over the Internet. This can be done with music files, videos and movies, e-books, software, and other materials’. Web pirates carry out their entire crimes online, including advertising and sales, and remain totally anonymous. They differ from phishers and scammers in that they offer a product to customers. It’s just that it’s not theirs to sell! A new voluntary code of conduct has been proposed between websites of rights holders and search engines, to head off legislation that may otherwise become necessary and inevitable. Pirate websites will automatically be ranked below official sites, below sites officially registered, under an official approval scheme. This plan is an attempt to stem the flood of value from and abuses to mainstream sites by a range of internet pirates. Now companies in business dependent on intellectual property, such as music originators, drugs manufacturers, premier sports sites, book publishers, film and television producers can defend their rights better. All search engines will agree to prevent illegal sites advertising and do more to delist pirate sites the instant legitimate rights holders flag up their activity. Universal Music was involved in some controversy about this in June 2011, when it produced a giant list of pirate websites that ad giant GroupM would blacklist. The problem arose when it transpired that the list of outlaws included their own artist, rapper 50Cent, which was promoting his own music. In March 2011, the USA’s Immigrations and Customs Enforcement introduced a way of enforcing copyright laws, by shutting down pirate sites, without notice. The offending sites offer counterfeit goods or copyright material. The thing is, that now they are going beyond simply shutting sites and are arresting the people who run them. The first arrest was a 32 year old Texan who pirated sports telecasts, and he was charged with criminal copyright infringement, with a maximum penalty of up to 5 years in jail. A bill to further combat online piracy, the Stop Online Piracy Act (SOPA), has been put before the US legislature. It will punish all web companies that link to foreign sites dedicated to online piracy. It has been condemned by Google Executive Chairman Eric Schmidt, who said it would ‘criminalise linking and the fundamental structure of the internet itself’. It will force content off the web, and Schmidt called that ‘censorship’ like that practised by ‘repressive foreign governments’. What Schmidt and Google want is punishment for the law violators, not the internet intermediaries. 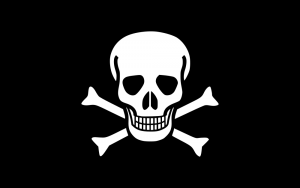 The pirate sites directly, not the whole Domain Name System. Other measures have been proposed by those preferring to ‘follow the money’ and target the payment processors and ad networks instead. The legal change with federal prosecutors intervening and new laws coming on stream is that previously such issues were civil matters or were just ignored. Now the theft of intellectual rights is criminal. The same will have to happen in the UK. Paid Content, Joe Mullin, Feds’ Campaign Against Pirate Websites Leads to An Arrest, 3 March 2011. The Hill, Hillicon Valley, December 2011.